Bridge type mechanism has a feed mechanism of X and Y that drives independently so that it provides great sewing quality at higher sewing speeds（Max. 2,700sti/min). Various sizes of sewing threads can be used by the new digital tension which increases the setting range of the upper thread tension. Detects kind of needle thread breakage opportunity immediately, and which reduces defective workpieces. Brother’s unique control technology prevents pattern shape losing when sewing at high speed. 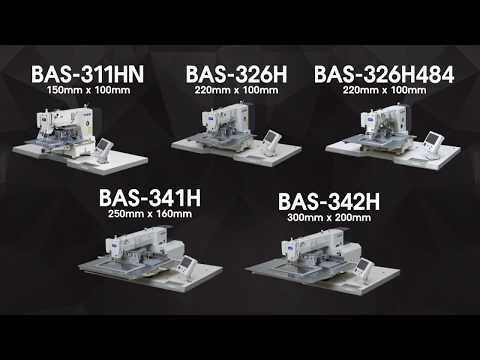 It keeps accuracy of stitch point and attains both of high sewing quality and productivity even at high speed sewing. 7-inch large screen and easy programming functions via LCD touch panel enable an intuitive easy-to-use experience.